Instant snow made from non toxic & biodegradable polymer. Simply add water and voilà! All of a sudden you have instant snow. It is magical when this white dust expands in front of your eyes and it is super-realistic. In fact, it looks so authentic that it could be mistaken for real snow (seriously). Enjoy the wonder of instant snow and please ensure this product is only used under strict adult supervision. Instant snow bulk orders are also available. 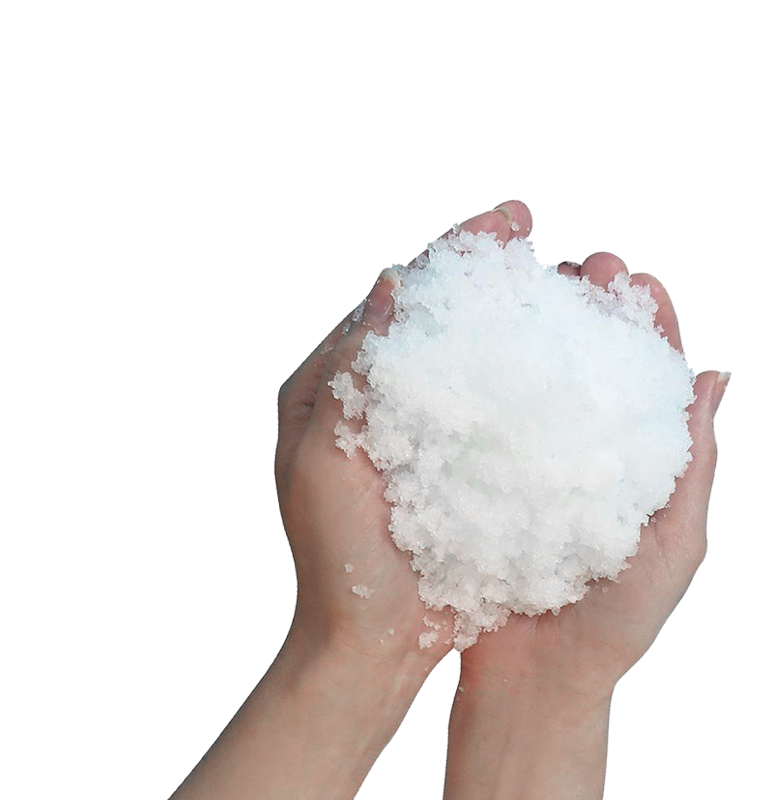 Instant snow is made from a super-absorbent polymer which looks like salt when it is dry and expands instantly with a genuine look and feel of real snow! How do I use Instant Snow? Our instant snow comes in 50g sachets. Simply soak the contents of one sachet in water for a few minutes depending on your desired appearance. The more time in water the more the snow expands and takes on the look of icy snow, as opposed to a short duration that maintains a power snow appearance. Please note: Instant snow should be used under strict adult supervision. Can I buy instant snow in bulk? Yes, instant snow bulk orders are available. Yes, we certainly do! We ship nation wide, and regardless of your destination, regular post is $1.90, and Express Post is $8.90.